“A bankruptcy court judge approved Horizon Hobby’s $18.8 million purchase of Hobbico’s remote-control business Monday, which means Hobbico employees must reapply for their jobs at Horizon before the purchase is completed Friday. Hobbico’s more than 300 employees were made aware of this possibility last week, after Horizon was the lone bidder in a bankruptcy auction for Hobbico, which filed for Chapter 11 protection in January with the goal of finding a new buyer. 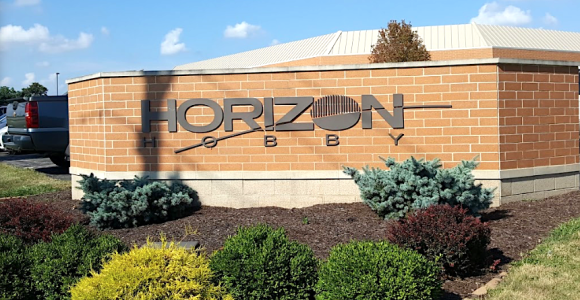 “As mentioned in yesterday’s Town Hall Meetings, Hobbico employees who are interested in being considered to work at Horizon Hobby are required to apply online,” Hobbico human resources manager Megan Huppert wrote Friday in an email obtained by The News-Gazette. It’s not clear how many of the employees will be hired at Horizon, especially since the two Champaign-based hobby-product distributors perform similar tasks. “Horizon and Hobbico have served many of the same retailers and customers for years,” Horizon CEO Joe Ambrose said when his company announced it would try to buy Hobbico’s RC units. Horizon is buying Hobbico’s Great Planes and Tower Hobbies divisions, along with its Axial and Arrma brands. Also on Monday, a bankruptcy judge approved a separate $7 million sale of Hobbico’s Colorado-based model-rocket subsidiary, Estes, to an organization called The Langford Group. An auction for Hobbico’s remaining assets — including United Model, Revell US and Revell Germany — was temporarily suspended last week. Hobbico employees will be applying for jobs in departments at Horizon rather than specific positions, and a temp agency is helping Horizon process the applications. If employees apply by Friday, their seniority with Hobbico will be used to determine when they’re eligible for benefits. However, “If you apply after the close of the transaction (April 6th), you would be considered a new applicant and treated like any other external candidate,” according to a document attached to Huppert’s email. A representative for Hobbico could not be reached for comment Monday, and a representative for Horizon said the company would issue a statement after the sale closes. The two companies were both formed in 1985 and are among the top 25 employers in the county, according to the Champaign County Economic Development Corp.